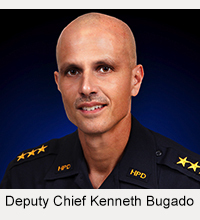 Hawaiʻi Island police are investigating a domestic violence incident that was reported Monday night (December 9). 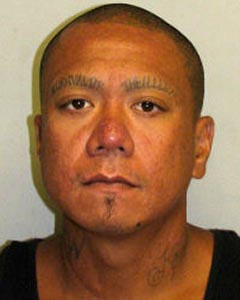 A 41-year-old Hilo woman reported that between 9 p.m. and 9:30 p.m. Monday, she was involved in an argument with her boyfriend, 35-year-old Justin Lee, at their Hilo home. As the argument escalated, he reportedly ran over her with a car and then fled on foot. 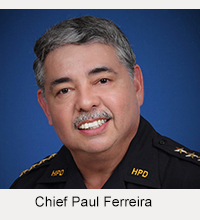 The victim was taken by private vehicle to Hilo Medical Center with serious injuries and then transferred to a Honolulu hospital for further treatment. Her condition remains unchanged. Lee is described as a bald local male, 5-foot-8 with a heavy build, brown eyes and a tan complexion. He has a mole on the left side of his chin and numerous tattoos on the back of his head, neck and arms as well as large words tattooed where his eyebrows should be. In addition, Lee has three outstanding warrants for his arrest, including a no-bail warrant. Police ask anyone with information about this incident or the suspect’s whereabouts to call the Police Department’s non-emergency line at 935-3311 or contact Detective Jefferson Grantz at 961-8810 or jgrantz@co.hawaii.hi.us.